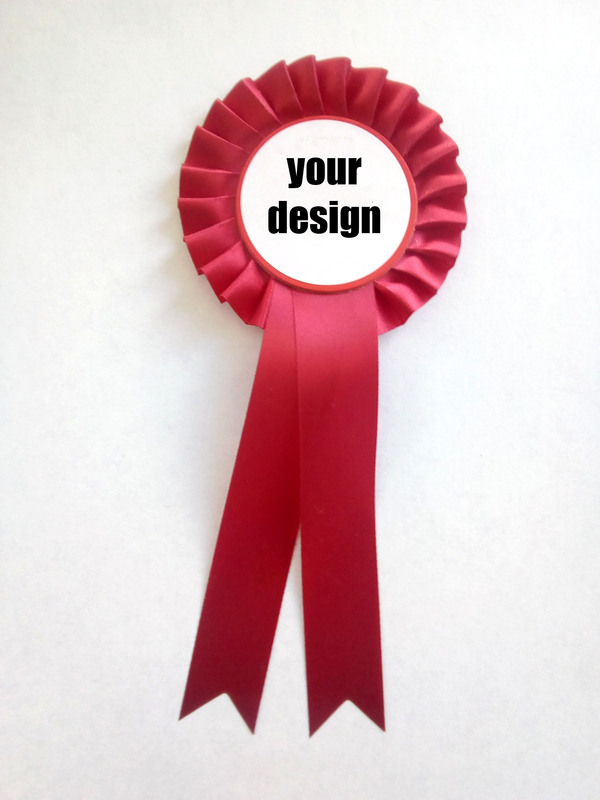 Custom-made red rosette (from £1.20) | Campaign! Get ready for the next election campaign… order rosettes with your local candidate’s name, for example. We can print your own design (which goes on a sticker in the middle of the red, single tier rosette). Please supply your design (5cm in diameter) by email. We can help you with the design for a small surcharge – just get in touch.